Meet the kids of Daniel Freeman Elementary. A few weeks back, the crew at Go Mighty asked me if I might be willing to work with AT&T to take $3,500 off their hands and use it to purchase AT&T products for the charity of my choice. Who could say no to an opportunity like that? 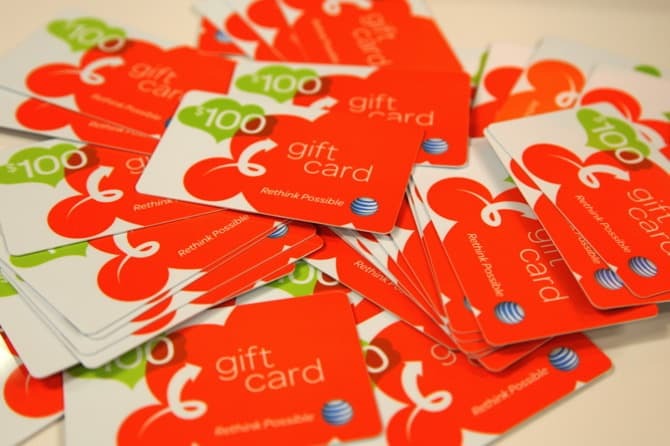 So I accepted $3,500 in AT&T store gift cards and started thinking about what kind of donation I could make. I feel strongly in the value of providing educational opportunities for all children, and I am also keenly aware that my local public school system needs all the help it can get. I decided to make my donation locally via the I Have a Dream Foundation Los Angeles. The mission of IHAD is simple “…to help underprivileged children become productive citizens by providing a long-term program of academic enhancement, mentoring, and cultural enrichment with an assured opportunity for higher education.” No child who wants more education should be denied that chance. 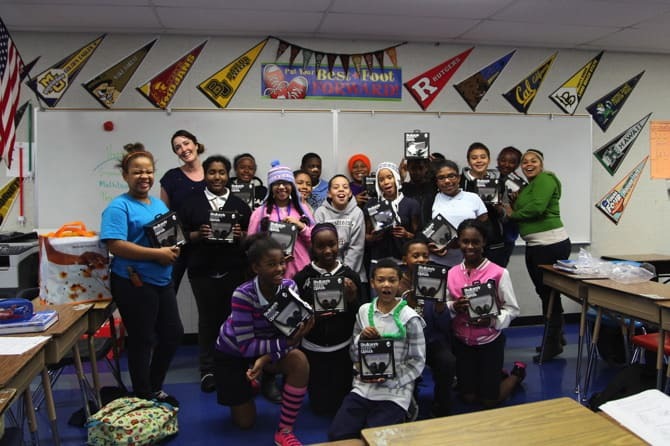 The foundation put us in touch with Daniel Freeman Elementary school. 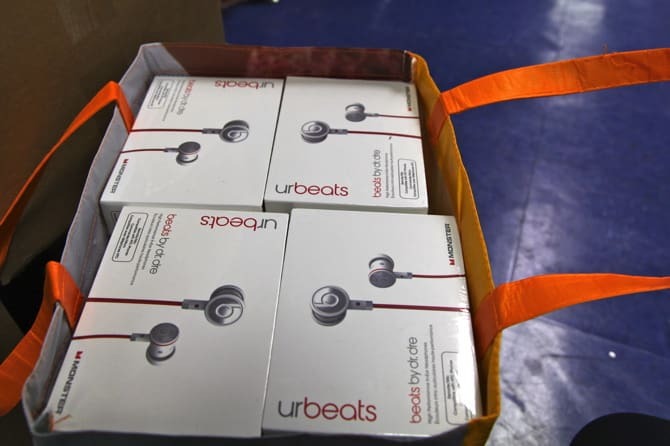 The faculty and kids in the after school program needed headphones. Some business-y type wireless goodness for the office, and some quality headsets as gifts for the kids, which they will use for work and fun. So with that information, I headed over to the AT&T store with 35 $100 gift cards and got to shopping. Then Colleen and I packed up the car and headed down to the school. The kids were happy to get new headphones, for sure. A few of them graciously helped unload the car and we chatted. The Daniel Freeman Dolphins have a basketball team, but they would also really like a baseball team, since they have a baseball field. Many of the girls are crafty ladies after our own hearts, sitting inside organizing beads and supplies. All of the children were thankful for the gifts, and I was grateful to spend an afternoon with them, and for the opportunity AT&T gave me to give this gift. When I saw the basic differences in the facilities offered to these children and those offered to mine I was saddened (though not shocked). However, I am happy to note that all of our children are benefiting from the guidance and warmth of quality teachers. I hope you will consider reaching out to your local I Have A Dream Foundation and seeing how you can help the students, faculty, and facilities of a school in your area, if it is within your means to do so. AT&T is currently working with the Make-A-Wish foundation to grant one wish a day for a month to underprivileged children suffering from life-threatening medical conditions. To learn more about how you can help a sick child’s dreams come true, visit this link: Wish-A-Day Sweepstakes from AT&T. What a prudent thing to do! Love it! I work for the IHAD affiliate in Des Moines and am so happy you shared your holiday gift with the LA Dreamers!